FS: Tons of cool euro goodies off my daughter's car!!! Thread: FS: Tons of cool euro goodies off my daughter's car!!! I am sure there will be more, unless somebody wants to buy the whole thing for $3000. Last edited by gerwazy; 12-09-2018 at 04:16 PM. That is a fine looking ride! It'd be a crime to break it up. Do you have any pictures of the inside, under the hood? Must you buy every Black Passat available? Iowegian and AndreasPassat like this. Some of us just have different goals in life. Are the headlights DOT or ECE versions? Thanks for the bump, I just purchased another Passat (number 4) so all this stuff is getting transferred to the other one but the black one is for sale, I will post a separate ad once she is back to stock with current pictures. 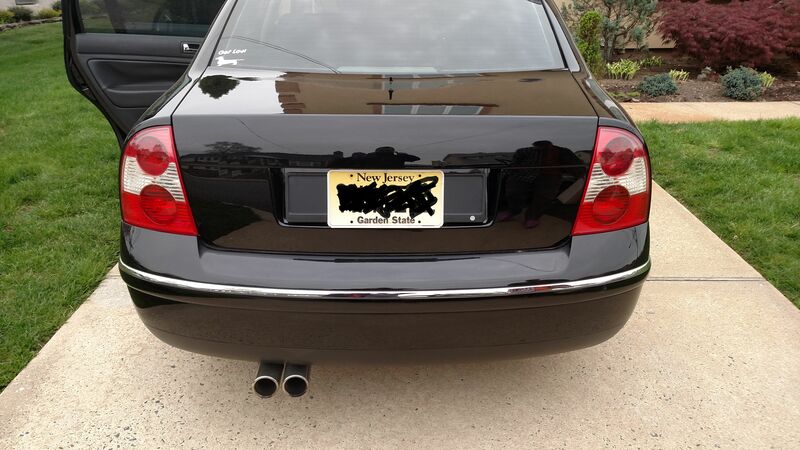 Huh, a black Passat for sale?